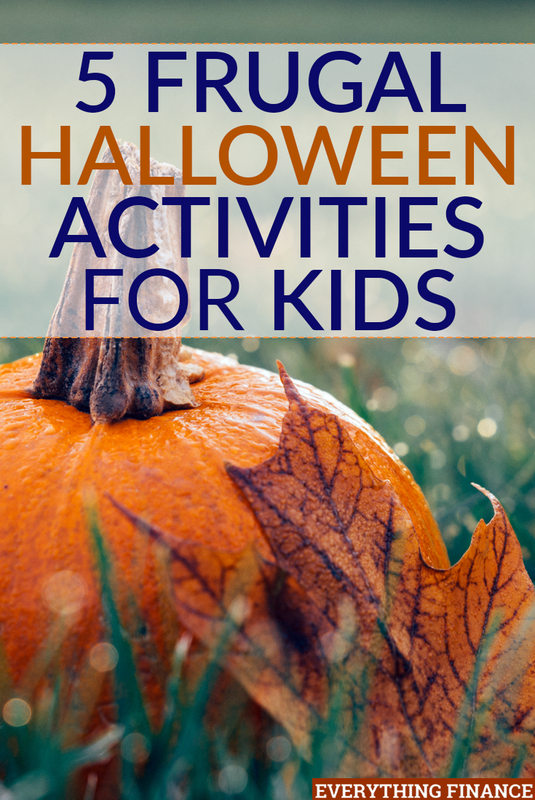 Halloween is right around the corner, which means it’s the perfect time to squeeze in some frugal and fun activities for your kids to keep them entertained. I love frugal kid’s activities because they are usually fun for me as a parent, and I love bonding with my son through fun and unique experiences. If you’re looking for something affordable and exciting to do with kids this Halloween season, here are a few ideas that may interest you. Pumpkins are super cheap this time of year and available all over. Decorating or carving pumpkins is a great craft to do on a weekend, and you can involve the whole family. We prefer to decorate pumpkins in my house so I may let my son paint or draw a face on his. You can also check out a Michael’s store in your area to see if they are hosting any pumpkin decorating events. A lot of people carve pumpkins to create decorations for their homes, but I know some towns have actual contests and provide prizes and awards for the best carved pumpkins. If you do carve pumpkins, don’t forget to wash the seeds off and save them so you can roast them later in the over with oil and salt. Roasted pumpkin seeds are delicious! If your kids like to watch you cook or bake, you can invite them into the kitchen to make a yummy treat that you can bring to a friend or neighbor. Most baked goods cost less than $1 per serving and they often taste much better than store bought items, so it’s worth the extra effort. Plus, you can start a new tradition with your kids and they can learn how to make a special dish. I recently baked pumpkin pies and I always have extra filling to make additional pies for other people. You can also make things like cookies, pumpkin bread, cupcakes, etc. to enjoy and prepare an extra batch to bring to a neighbor or even to a local nursing home. Making a list of local Halloween parties in your area is a must. Different organizations and companies throw community parties with food and activities for everyone in the family to enjoy. Plus, most parties are costume parties so I love to let my son dress up and get some wear out of his costume. Paying for a costume or making one just to wear it for one day doesn’t sound like it’s worth it to me, so I always make sure we attend a few Halloween parties every year. Most community Halloween parties have an admission fee that usually goes towards improving the organization, but for me, the fee has always been small (around $3-$5) and definitely worth it for all the fun stuff you get to do. If your child attends grade school or daycare, they may have some Halloween-themed events coming up. Halloween parties and craft nights at school are super fun because your child can see all their friends and you can meet their parents. Plus, again, it’s usually a cheap outing. Pumpkin night at my son’s school only costs $3 and that simply covers the cost of the pumpkin. If you have time to volunteer, you may be able to attend a fall field trip at your child’s school. Pumpkin patches and corn mazes are always fun, and they’re even better when you receive a group rate for visiting with their class. I’m sure you won’t forget about trick-or-treating. Be sure to check out multiple events in your area aside from the regular activities to participate in on October 31st. For example, malls and local businesses often invite trick-or-treaters to visit for candy. Last year, my son and I trick-or-treated at the mall since the weather was bad, and in previous years, we took advantage of trick-or-treating days at local businesses that allowed us to go door-to-door about a week before Halloween. Now is the best time to start seeing what activities you want to try and which events you want to attend so you can seize the season. Check with your local library or an events website so you can mark down kid-friendly activities that sound interesting. Even if there aren’t a ton of events to choose from, you can always pick up a few pumpkins and do some fun crafts at home. Just remember that kids are easily entertained and it shouldn’t cost an arm and a leg to keep them busy. What frugal things are you planning to do with your kids for Halloween? How do you trick-or-treat with them?